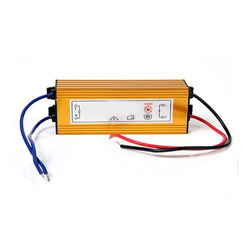 Providing you the best range of 12 watt led driver, led driver 50w, led driver 15 watt, 22 watt led driver, 28watt led driver and led driver 3wtt with effective & timely delivery. 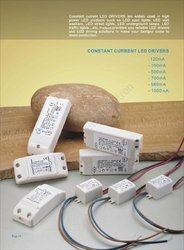 We are leading manufacturer of 12Watt LED Driver. 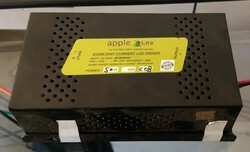 Driver - Constant Current LED driver. Operating Voltage Range - 90-270vAC : 50-60HZ. Luminious - High Luminious Intensity. Operating Temp. - 10-60 Degree. Configuration - 3P x 8S. Power Factor - 0.95. THd - Less than 15. 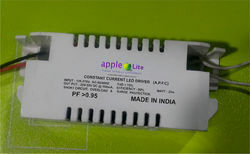 We are leading manufacture and exporter of 15 Watt LED Driver. Operating Voltage Range - 90-270vAC 50-60HZ. Luminous - High Luminous Intensity. Configuration - 3P x 10S. Packaging Details: SEMI WHITE OR BROWN INNER BOX. 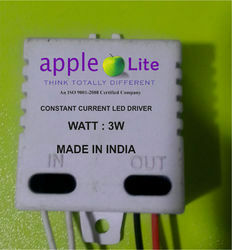 We are offering of 22 Watt LED Driver. Configuration - 4P x 12S. We are offering of 18watt LED Driver. Configuration - 2P x 3S. Operating Voltage Range - 90-240vAC : 50-60HZ. Due to our honest business standards and transparent deals, we are steadily making our way to the platform of success by offering Electric Driver. This driver is available from us in various specifications to choose from. Offered driver is designed by optimum quality material and modular techniques keeping in mind the set market standard. Our driver is tested on diverse quality parameters make certain its flawlessness at user’s end. Looking for Led Drivers ?